A taste of what's to come in the upcoming Rocketman biopic! 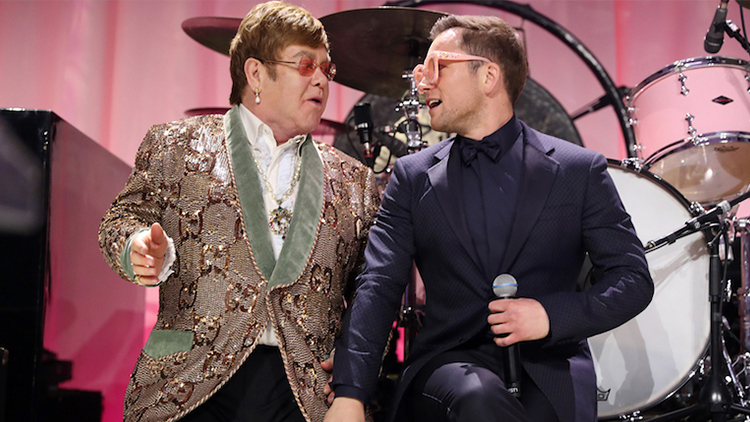 During last night's annual Elton John AIDS Foundation's Academy Awards viewing party, the queer music legend took to the stage with actor Taron Egerton and gave the crowd a stunning performance of his classic "Tiny Dancer." The performance gave us a little taste of what's to come in the upcoming Elton John biopic Rocketman, which is due out in theaters in May. Egerton plays John in the upcoming film based on the early years of John's legendary career, and from the looks of his performance, he's going to do well. Watch the trailer for Rocketman in the video below!